I hired Art in 2006 to help me move my legal career in a new direction. Art quickly helped me identify the values that were most important to my personal and professional satisfaction and happiness. We then designed a plan to build a law practice around the concept of fulfilling those values. With Art’s careful guidance and encouragement, I left my secure partnership in a 20-lawyer firm to pursue my dream of starting my own firm. In the first year of my venture, we increased my earnings by 42%. More importantly, we built a law practice that delivered better value to my clients and made me a happier lawyer, husband and father. Art is a powerful motivator who brings out the best in his clients. I highly recommend Art as a consultant and coach to any professional who is prepared to take his or her career to a new level. Art was very helpful to me in building my niche in the legal profession. He helped me zero in on what I was most passionate about and build my practice around that interest. I highly recommend him. Rob Hassett – Casey Gilson, P.C. We first began working with Art in 1998. Within a short time of implementing Art’s program, our business began to pick up and has maintained an upward trajectory ever since. Art has been a pleasure to work with. We always say that we just wish that we had met Art sooner. I cannot recommend him highly enough. I hired Art Italo in 2002 to help me decide if I should take the leap and start my own law practice. Art did not tell me what I wanted to hear but rather gave me real life advice and counsel. Basically, I did what he told me to do and it worked ! I have grown from a one man operation with one shared secretary to a payroll of 10 employees. This, of course, is a reflection of my business growth that Art helped engineer from day one. I still meet with Art quarterly and will continue to do so. Thank you Art! Frank Burns – J. Franklin Burns, P.C. Art understands all aspects of the business of practicing law. 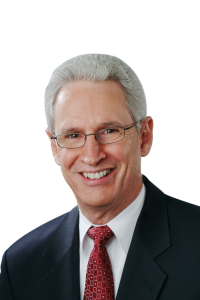 I have used him as a business development consultant, and his advice and coaching have helped me immensely in learning marketing skills I had not learned in over 30 years of practicing law. I shall continue to call upon his expertise as my business grows. Art is a very effective teacher and motivator in the area of law firm management and marketing. I hired him when I opened my solo practice and his advice was superlative in giving me direction and focus in the early growth and development of my practice. I highly recommend him to any attorney who wants to grow their practice and referral base in a strategic and leveraged manner. Art understands the legal community and how effectively to develop a marketing approach for various practice areas. Art provided critical insights on how to increase the probability that my marketing and networking efforts would yield the desired results. I first consulted with Art over 15 years ago, and still implement his strategies on almost a daily basis. I can say without equivocation that the concepts and approach that Art brings to the table are focused, thoughtful, and most of all, they work! I highly recommend. Art has helped me grow my business tremendously. I have enjoyed working with and hope to continue our business relationship for many years to come. By following Art’s advice, we have substantially increased the profitability of our firm. I have recommended Art to many people and each person who has followed Art’s program has reported a similar result. I first hired Art when I started my law practice. He was instrumental in helping me focus my practice, in developing sound business practices and in building a successful practice. I would highly recommend Art to any attorney that’s looking to build a more successful practice and who wants to take control of their business.